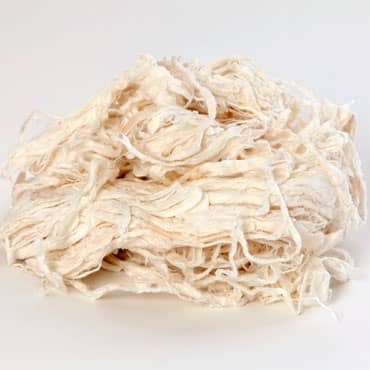 We have available Thai kozo fiber which has already been cooked, cleaned and bleached. Simply soak it in water, and hand beat it! One may also put it in a blender or Hollander beater. Fiber is damp and is sold by the bag. Each bag weighs 1 1/2 pounds and contains 1/2 pound of fiber when dry. We have available Thai kozo fiber which has already been cooked, cleaned and bleached. Simply soak it in water, and hand beat it! One may also put it in a blender or Hollander beater. Fiber is damp and is sold by the bag. Each bag weighs 1.5 pounds and contains 1/2 pound of fiber when dry.